Emporia Main Street has several resources available to Entrepreneurs to start, expand, or enhance your business! Through a variety of educational opportunities, loan programs, historic tax credits, and tax rebates the staff at Emporia Main Street is ready to help you and your business set up for success! This years Start Your Own Business Class will begin on Monday, October 15th at Flint Hills Technical College. 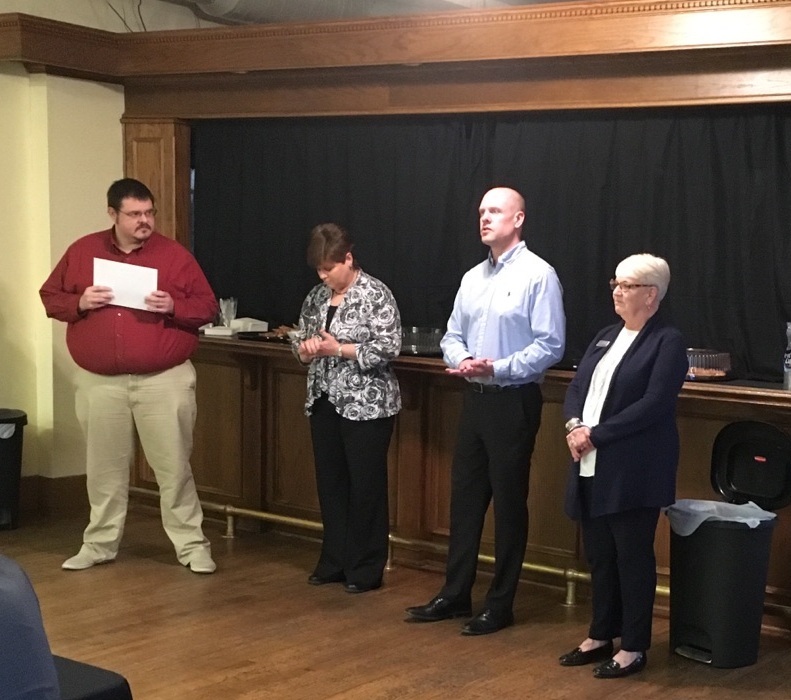 This collaboration between Flint Hills Technical College, the Small Business Development Center at Emporia State University, and Emporia Main Street has helped start or expand over 75 businesses in the region. Success in entrepreneurial development programs is measured by actual entrepreneurial development, and no single initiative within the region has reported the impact of SYOB. This years class will consist of Monday/Thursday classes from October 15 through November 15, with a graduation held on the night of Midnight Madness on December 13. Classes (unless otherwise specified) will take place on Flint Hills Technical College main campus from 6:00 p.m. to 9:00 p.m. Each class will contain basic subject matter presented from one of the three presenters (Rob Gilligan, Lisa Brumbaugh of the Small Business Development Center, and/or Casey Woods of Emporia Main Street), followed by a presentation from local practitioners in the category of discussion for each class. Classes can be taken for “credit” from Flint Hills Technical College, or as a training course without class credit. The training course option allows students to register for the class for just $100, due to the continued financial support of ESB Financial. Those taking the class for credit hours through Flint Hills Technical College can register for $100, but additional fees may apply. Due to the individualized attention required in the Start Your Own Business course the class can hold a maximum of sixteen people. Class One: October 15- Deciding on a Business & Business Plans– Students will receive an overview of the business selection process and hear fro current business owners. Students will learn the basics of the business plan format, steps to make your business plan better and an overview of the necessary factors for developing a business plan. Class Two: October 18th- Understanding the Regional Market & Market Research- Successful entrepreneurs need to know the ins and outs of their target market. In this session students will learn how to analyze market information and help develop an understanding of what their business opportunities are. Class Three: October 22nd- Staying Legal: The role of an Attorney & Accountant on your TEAM- How should you organize your new business- sole proprietorship, general partnership, limited partnership, corporation, “s” corporation, or limited liability company? How does that impact your tax liability? Your Attorney and Accountant are two of the key members of your “Team” and their information is part of the foundation of establishing a successful start-up. Class Four: October 25th- Everybody Loves a Field Trip! We’re Going Downtown: This class will meet in downtown Emporia to meet and tour locally owned businesses in our community! Class Five: October 29th- Where should you locate, and how do you protect your investment? Location, Location, Location can be an important part of building a successful business. This class will focus on how to find a location that is appropriate, what rules and regulations you need to know and then how to protect that investment with a key team member; your insurance agent. Class Six: November 1st- Basic Accounting, Taxes & Financial Statements. Before you start your business, you will need to learn how to keep score (basic accounting) and how to maintain cash flow. Bookkeeping- essential skills to keep your business moving forward. Information on cash flow projections and learning how to locate, negotiate and maintain sources of money to get you started and help you expand your business. Topics include identifying how much you need, loans versus investments, funding sources, and what to do after you receive financing. Class Seven: November 5th- E-Commerce, Social Networking & E- Marketing & Marketing for Small Businesses. E-Commerce is the fastest growing segment of our economy. It allows event the smallest business to reach a global audience with proper products and message at a minimum cost. This class will focus on the core basics of how and why to set up an e-commerce website and understand how businesses can use social networking sites to their advantage. Marketing is important to maximize business results and avoid the most common mistakes made in opening a business. Learn what to do “before your start”. Identify key things to accomplish with your marketing. Class Eight: November 8th- Employer/Employee Relations & Daily Operations/Business Practices. Most employers agree the toughest part of being an employer is finding and keeping good employees. Understand the importance of consistent business practices to your daily operation and the result to your bottom line. A growing business needs to have appropriate expansion policies in place to motivate key employees and know-how in handling common business problems. Get tips and advice on motivating key employees, maximize profit centers, and remedies for common business problems. Class Nine: November 15th- Make your Pitch- Now is your opportunity to take five minutes and share your business plan with the class. Your goal is to apply all of the topics discussed that are important to your successful launch and share with us your vision. Graduation- December 13th- Bring your friends and family to meet with class sponsors, speakers, and classmates to celebrate your graduation from the Start Your Own Business Class. Graduation isn’t the end, it is just the beginning! Learn more about area resources designed to help you take your business from concept to reality, and gain access to local incubation, funding, and business acceleration services. After graduation, have some fun at Midnight Madness in downtown Emporia! If you want to start your own business in the future, the SYOB course is the first solid step towards making your dream a reality. If you are an existing business looking to expand your operations or improve your existing entity, the Start Your Own Business course is a helpful tool. If you know someone that is a natural entrepreneur (they can spot opportunities, mitigate threats, understand profitability, have a strong work ethic, are innovative, have a support system), forwarding this information might be the incentive needed to get started. If you are an existing business and have a rock star employee, the Start Your Own Business class may ingrain the skills necessary for your staff to aid in future expansion efforts. To sign up for the Start Your Own Business Class click HERE or forward this information to a budding entrepreneur that needs to take a tangible step towards starting their own business. Community Development Block Grants- CDBG funds are applied for through city governments and can be used for revitalization efforts, and in some cases a loan pool. E-Community- Another potential loan pool, E-Community mimics local funds (like IWW or Trusler) loaned out to businesses in a community defined area (like a city or county). Funds for the loan pool are raised through the sale of tax credits which form an account for a specific entity. E-Community funds do require a funding match. 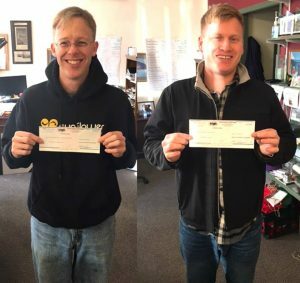 Kansas Main Street Incentives Without Walls – Administered through the local Emporia Main Street ProgramZero interest loan is a 3:1 matching loan up to $20,000 within a defined district. 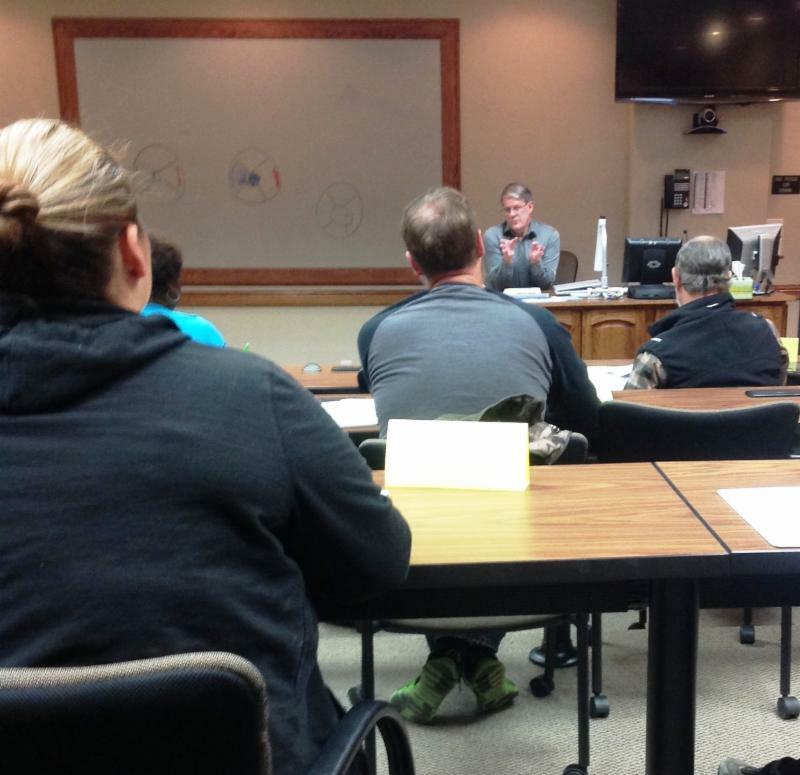 Emporia Main Street fills out the IWW application for businesses, but there are some pieces of information required from applicants. Contact the Emporia Main Street office for details. Network Kansas Loan Program-As a network Kansas Partner, Emporia Main Street can apply for funds that match the terms of other local loan funds (like IWW or Trusler) in a 60/40 split. Trusler Loan Program– A privately funded zero interest loan pool donated by the Trusler Foundation and administered through Emporia Main Street. This loan pool can be used on any commercial property in Emporia, but it’s policies mimic Incentives Without Walls funds. Contact the Emporia Main Street office for details. Emporia Neighborhood Revitalization Program – This program offers a property tax rebate on properties in certain areas that receive revitalization investments. Contact the Emporia Main Street office for details. Federal Historic Tax Credits- These 20% federal tax credits are similar to the state Historic Tax Credits, but are used less frequently and on larger projects. The National Historic Tax Credits are non-transferable and do require that buildings are either on the national register or are a contributor within a historic district. Kansas Historic Tax Credits- We are hoping to pursue a historic district that would allow for the expanded use of this 25% (for profit) or 30% (not for profit) state tax credit. These tax credits can be used on qualified expenditures in historic buildings or buildings deemed as “contributors” within historic districts. These tax credits can even be used to revitalize current non-contributing buildings to make them a “contributor” to the aesthetic of a district. Things like plumbing, electrical, air conditioning and other mechanical issues are typically covered under this program. Historic Tax Credits are popular enough that a series of developers specialize in their use. We have had inquiries from developers about a historic district in Emporia, but obviously we haven’t been able to capitalize on their interest due to the lack of a district. State Historic Tax Credits are transferable (meaning you can sell the credits for cash). New Market Tax Credits- Common on the coasts and larger urban areas, the New Market Tax Credits are just now being used in Kansas. This 35% tax credit can be used in census tracts deemed “distressed” or “severely distressed”, which is virtually everywhere with the exception of properties west of Industrial Road. USDA Low interest loans- Emporia resides within the USDA Section 3 in Kansas, and the district office made Emporia Main Street aware of a low interest loan program for businesses within our city. USDA low interest loans are a grant to a local utility that is then loaned out to businesses at a low interest rate (usually around 4%). The USDA also has loans available for low income homes in rural areas.